After our stopover in Aswan it was time to discover some more ancient Egyptian temples. 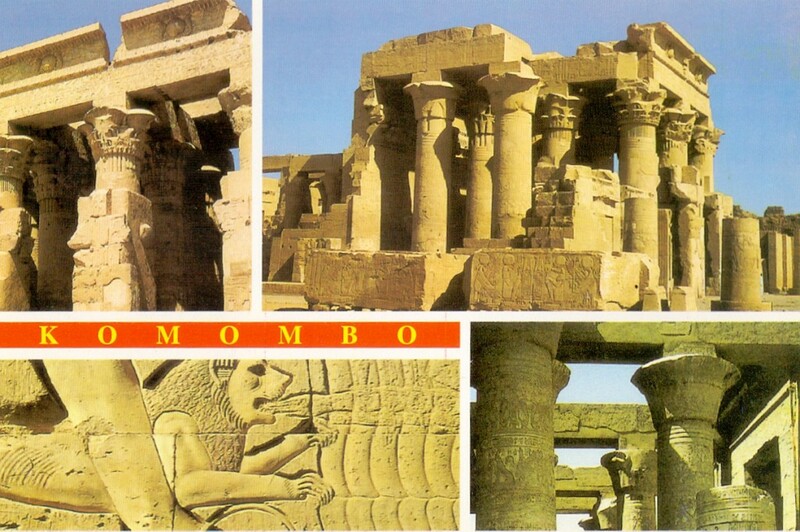 First on our list was the small temple of Kom Ombo, which was my favourite temple by far. This temple is dedicated to two gods, which was rare: Horus and Sobek, the crocodile god. 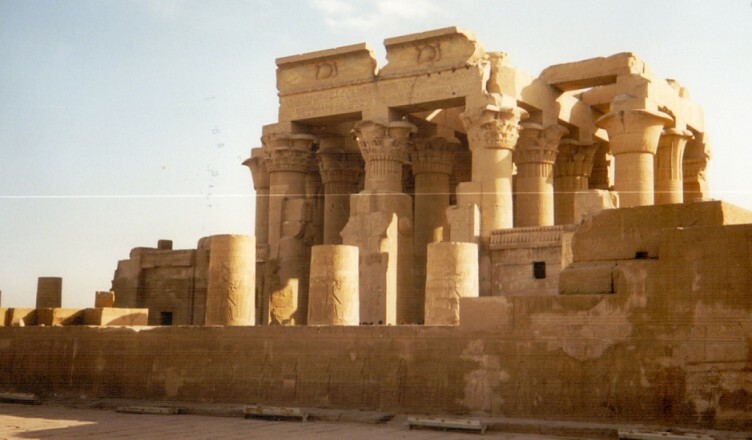 It was built during the Greco Roman period (205-180 BC) over the ruins of an older temple, known as the house of Sobek. Sobek was the god of the Nile and he brought fertility to the farmlands. He was therefore very important in Ancient Egypt. It was also believed that he could protect the Pharaoh from the influences of dark magic. 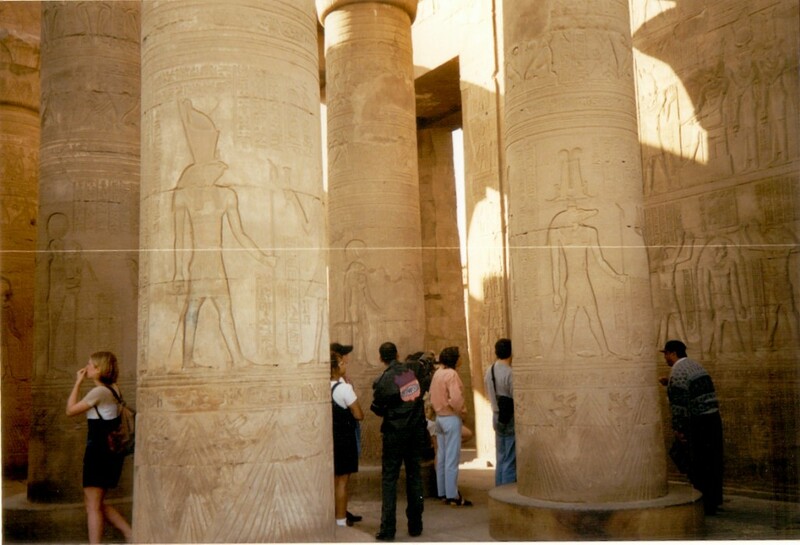 Like most temples, the temple of Kom Ombo follows a traditional building plan: a front courtyard, a hypostyle hall, then 3 inner courtyards and inside there are two sanctuaries, one for each god worshipped. The facade of the temple shows war scenes and kings offering to the gods. The temple houses 3 mummified crocodiles and a nilometer, used by ancient Egyptians to track the water levels of the Nile, predicting a good flood or a bad one. Horus on the left column, Sobek on the right. One of the most remarkable things of this temple is that there are hieroglyphs that show ancient tools used for precise medicine: scalpels, suction caps, dental tools, bone saws. They are presented to a seated god and some of the hieroglyphs describe how to deliver a baby with a cesarian, or how to perform brain surgery, so our guide told us. Highly complicated forms of surgery… practised over 2000 years ago. It’s almost unbelievable that these things were possible back then. 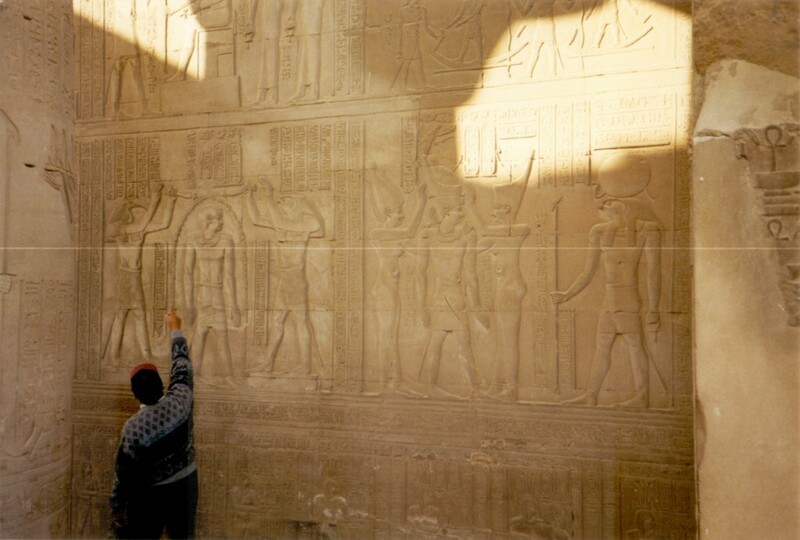 Our guide explaining the meaning of the hieroglyphs. In the next and final blogpost we will go back North, to Luxor, with a visit to the Valley of the Kings & Queens. That’s a history which I was thinking about it. Wonderful Post.